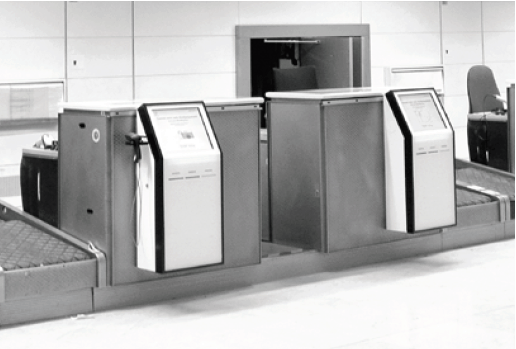 ICM’s Series 1 and 3 ranges are retrofitted into existing check-in infrastructure, providing flexibility to airports and airlines, with the option to also choose additional devices for a more secure process. ICM's retrofit solutions enable assisted self-service operations, whereby passengers are in control of the process, with customer service agents nearby to ensure safety and security and passenger assistance when needed. 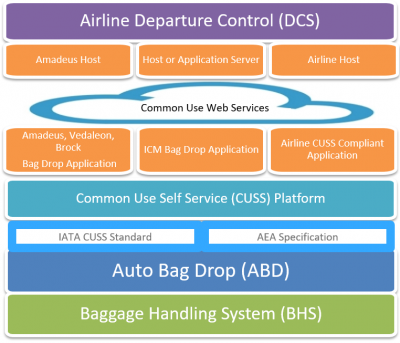 This is a more affordable range of bag drop solutions, minimizing the amount of disruption to the terminal. Series 3 can incorporate additional detection devices for a more secured process. ICM’s Series 7 range is a fully automatic bag drop solution, incorporating high security and safety features that include biometrics, ergonomics and exceptional durability. This series is designed to be a complete replacement of traditional check-in counters, revolutionising passenger experience with automation and unassisted self-service. 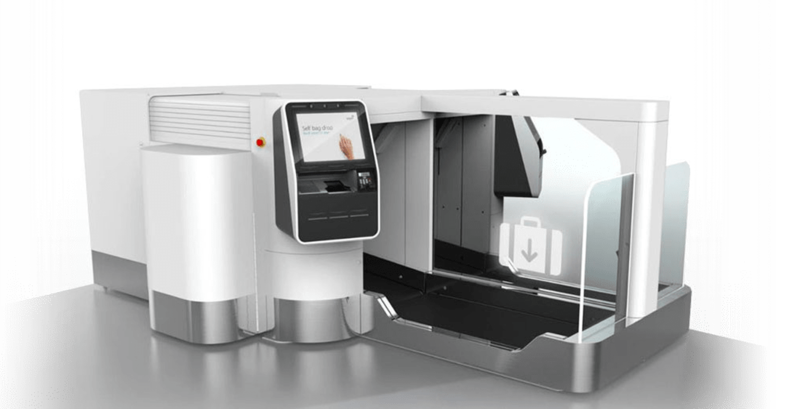 The Series 7 range also has a Hybrid option that provides the best of both worlds by offering a fully automated self-service bag drop that can transform in seconds into a conventional agent check-in desk or vice versa. 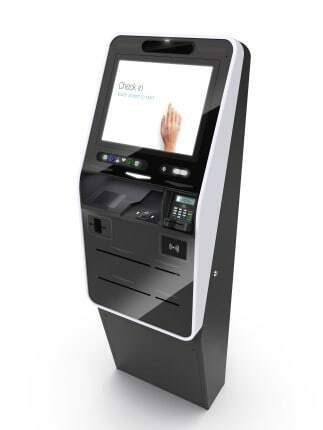 These next generation check-in kiosks are designed with the same look and feel as the Auto Bag Drop solutions, creating familiarity and consistency across the entire check-in and bag drop process. 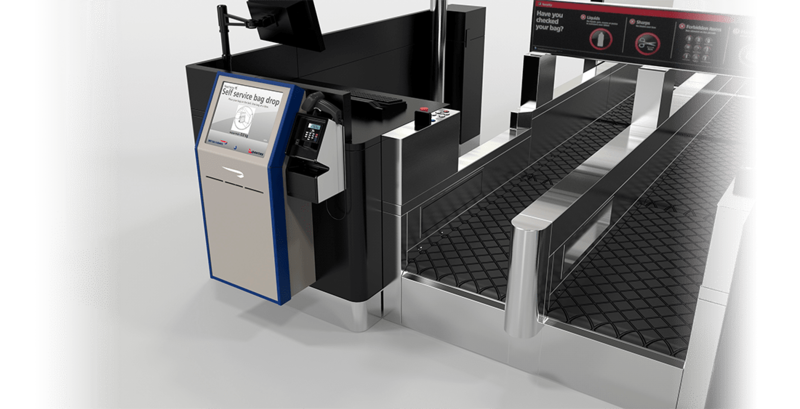 A uniform hardware and software interface for check-in and bag drop as well as the ability to integrate biometric verification (for future use single token passenger processing) ensures operational benefits for airports and airlines as well as efficiency and ease-of-use for passengers. Vedaleon Technologies is an aviation software solutions provider capable of delivering significant competitive advantage through commercial and operational applications as well as strategic e-Commerce and ICT advice. In 2016, ICM and Vedaleon Technologies merged under a common ownership, keeping both operations independent. Vedaleon’s strong aviation software solution platform complements ICM’s range of products, enabling the business to offer a broader range of products and services to the aviation sector globally. Click here to visit the Vedaleon website. All of ICM's products are designed with upgradeability in mind, and have an operational life cycle of approximately 8 years. ICM recognises that during this time, certain parts may reach end-of-life. ICM is continually improving their product features, and offers these improvements as upgrade options to existing clients. The use of standard industry components that are readily available enables ICM to cost effectively source spare parts at competitive prices.